One of Aberdeen’s oldest professional organisations, The Society of Advocates, which dates back to the 16th century, has been gifted a rare book compiled by a former member in 1876. 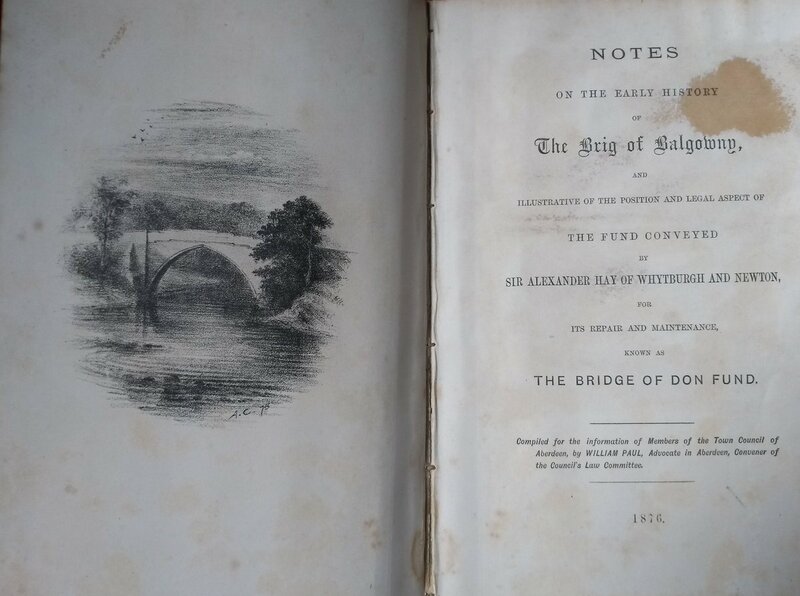 Providing a fascinating insight into the early backstory of the much loved Brig O’ Balgownie, from its origin in 1400 to its first salvation through urgent repair and maintenance by Sir Alexander Hay of Whytburgh in 1605, and its importance in informing the Torry Bridge construction in the late 19th century. 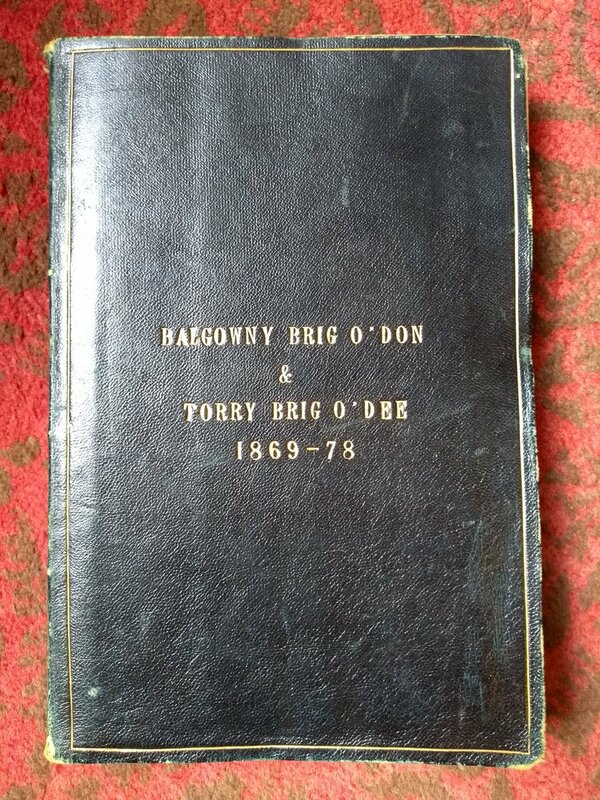 Entitled Balgowny, Brig O’Don & Torry Brig O’Dee 1869-78 the book’s primary intention was to provide the outline position and the legal aspects of the Bridge of Don Fund, created centuries earlier by Sir Alexander, and to inform the Town Council in their proposal for the construction of the new bridge in Torry. This intriguing volume is one of several copies which exist in the city, but each one is unique in that they were created with space at the back to allow for additions. This copy includes a variety of newspaper articles, maps and letters along with a fascinating “Feuing plan of part of the Lands of Torry” depicting the recently demolished Craiginches Prison and the “proposed site of the Wallace Monument”. Donated by Olive Sutcliffe, the much-loved book came into her possession in the late 1980s, as a result of her previous career in legal publishing. Recognising the historic value of its contents, Ms Sutcliffe felt that this book deserved a place in the Society of Advocate’s Library in Aberdeen. Speaking on behalf of the society, president Martin Ewan said: “This is a thoughtful gift which will be appreciated by all of our members and, I am sure, many city historians. Our historic Law Library is a source of great pride to our members. “The personal nature of this gift, as the intellectual product of a former member, as well as Olive’s professional contribution through her work in the legal publishing industry, makes this a particularly fitting addition to our collection.